Have you ever had a friend who you get along with at first, but then as the days passed you start discovering their true-self. What you discovered in them was something that just brings a negative vibe to you. As you got to know them, you know that the person is not really all bad but just their mentality and attitude that sometimes just get under your nerves. I value friends a lot. I value them so much that I tend to care more about them than they do to me. I care so much that I stick around even if that person is a parasite. They may not stick to you cause of the benefit they can get but just because you are there, available to accompany them along the journey and ease the way. They become your friend maybe because you are the first person they meet during college orientation day, so they do not want to be all alone throughout the first week. You accompany them, you see their vulnerable side, and you try your hardest to lift them back up when they are down. You try being a good friend by supporting them when they are doing a presentation. You comfort them when their boyfriend cheated on them. You try to motivate them when their ex-boyfriend insult them online. Unfortunately, they don't see what you do to them...they don't realise the good things you do. What hurts is that they turn out to be toxic too that contaminate the air you breathe. They see you in whole different perspective and misunderstood your act of caring into somehow judgmental, nosy, bossy, their-second-mother-wanna-be act. They see you as a bad person. They lash out on you every time you give them advise. They lash out on you because their thoughts are full of themselves and never took time to comprehend what you are trying to say. They appreciate you less and lesser then focus their attention on others who hasn't see their toxic side. You end up being suffocated with all the negativity and the toxic they brought. However, even thought the air is polluted there's this feeling you have inside that gives you hope that maybe...just maybe, you are able to decontaminate the air from the toxic. You value your friendship because you know that that person is actually nice but its just their immaturity in their mentality and their their attitude that seems to be the problem. However, you will eventually get tired when you see no progress in the changing. I am tired, exhausted and in need of a fresh air to breathe and now I realise the only way for me to breathe is to let you go...and distance myself from you. PS. Have you been in this situation? or perhaps something similar? If you do, how do you deal with them? Let me know in the comments below. I love listening to others' story and get a little insight on what they went through. Today, how about we talk about shoes? not just any shoes..but Nike shoes. Nike is known worldwide for its reputation as the biggest sports shoes manufacturer in the world. It never fails to produce the best selection of trendy sneakers that is comfortable and can be owned at a very affordable price too. 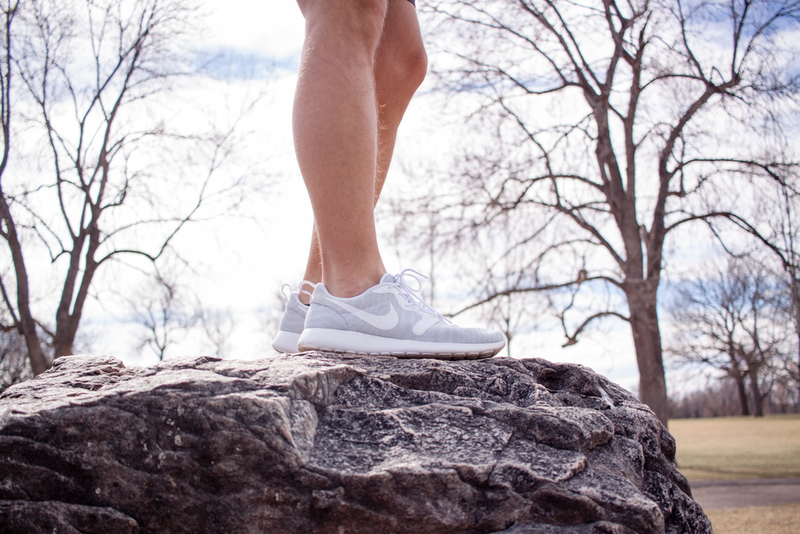 Even if you are not fancy of sporty look, sneakers from Nike can be a part of your go-to shoe selection. 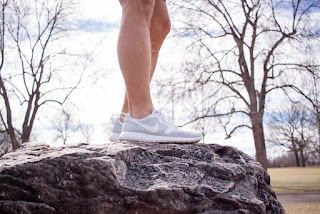 Let’s see some outfit ideas and tricks to style your Nike shoes! As of now the fashion world is overwhelmed with street style trends. You can still be delighted heavenly with a neutral ensemble by recreating the street style look with your favourite Nike sneakers. Pair your kicks with a leather jacket, knee-length dress and some accessories to achieve the look. If you need another good excuse to wear your skirt, this look says it all that there is another brilliant way to style your favourite feminine piece with a sports shoes. Another way you can style your Nike shoes is by putting some school girl elements with a youthful look. You can try do this by balancing your skirt with a stylish long blazer and a crop knitted sweater giving it a smart casual look. Add on accessories and your Nike sneakers to complete the look. If you love a simple casual street style look, you can style your Nike air force with a plain white tank top and denim short. Add on a spiral/chain necklace and a stylish sunglasses as your accessories to complete the look. Such a perfect look for the summer for you to go out and spend the day in the great outdoor whether at a skate park, a public park, or simply just walking around the neighborhood. Nike has taught us that we can be stylish while staying functional with their best selection of shoes. The simplicity of this look makes us cringe with excitement – trendy jumper, a pair of black trousers, coat and Nike Air Max sneakers. This stylish look can be your go-to look when it comes to walking in the city street and the Nike Air Max sneakers will provide comfort to your feet. PS. Do you own a pair of Nike shoes? How do you style them with your outfit? Leave your comments down below and share your tips. Where have i been? is probably the question running through your mind when you have not see me posting in the past two months. Wow..honestly i can't believe that i had been on a hiatus for two whole months. Time is moving so fast. Anyway, moving on! My last post was Caught up in a Dream and i posted it on the 28th of April. 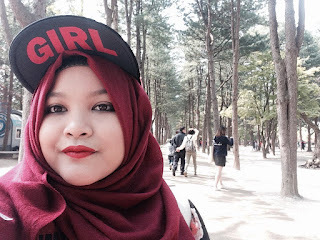 It was the day i went to Seoul, South Korea (the picture above was taken in Nami Island by the way). I stayed up packing until around midnight and wrote that post. The next day i had to wake up around 4.30 am and went straight to the airport for my flight. It was a group trip with my mum's friends and their families. Anyway, in this post i would like to sum it up my life update in the past 2 months. A few days before i went to Seoul i had my best friend, Azyan coming over and we had a sleepover for a few days. My one month semester break just began and she was a high school grad in in the middle of her gap months and just waiting for her college/university application. We had been friends since 2008 back in Perth, Western Australia. Ever since we both moved back to Malaysia, we couldn't meet up as often as we were back in Perth. Even though she lives around 15-20 minutes away from my house, we both get caught up school, exams and families. I only get to meet her during a long school holiday and if she's free she would join my birthday dinner and we would go watch a movie together. Now that i already get my driving licence and that my mum had bought me a car, i don't have to depend on my mum to drive me when i want to go out and hangout with friends. So, basically i was spending some quality time with her since we both are free and i wanted to spend as much time as i could with her before she enrolled into her University. She listens to Kpop and watch K-dramas and this made her in love with the country it self and the culture. She was excited at the fact that i was going to step a foot in Korea. During our sleepover she brought her laptop and we watched a K-drama call Kill Me, Heal Me. (thought of doing review of it. what do you think?). She suggested me to watch it since i am planning to do psychology for my degree. The drama is basically about a guy who suffered in Multiple Identity Disorder. She also blast some K-pop songs to get me into Korea vibe before actually going there. She introduce me to Shinee, exo and bunch of other K-pop artist. I guess it is just the way our friendship work. We share and talk about things that we love. We may love different bands, listen to different types of music but we share updates of our interest and that's what makes our bond stronger. She loves Shinee, i love One Direction but we always find a way to put both fit into our conversation. My trip to Seoul, South Korea was splendid and enjoy every minute of it. We visited a lot of places, made kimchi, dressed up in Hanbok and eat korean pancake. I will tell you all about my trip soon in a different post. In the meantime, you can go check out my instagram @syahirahskylar and see all the pictures i took from my trip. I got back from my trip on 2nd of May late at night. I was still in my korea vibe and Seoul was still in my soul. I continue to listen to K-pop songs that Azyan had suggested and i grew to like Shinee which i end up watching Shinee One Fine Day (if i'm not mistaken that's the title). She then expose me to another popular K-drama call Descendants of the Sun. I am so in love with the drama that i could not stop listening to the OST and the whole soundtrack for a whole month. I guess you can say that MAY had been such a korean month for me. I end up watching Shinee Hello Baby! throughout my first week back to college. I know the show is old but i wanted to know more about Shinee. Another thing about me is that, sometimes when i start watching a K-drama i could not stop watching it and end up craving for more. I end up watching To the Beautiful You cause Choi Minho (a group member of Shinee). After that, i watch Cheese in the Trap and i still have not watch the last 2 episodes cause i had been busy with exam and assignments. I also had download every episodes of Entertainer that i plan to watch during my next semester break in August. Right now i think it is better for me to take a break from watching K-drama or any tv series and just focus on college and finals. Earlier in June I manage to meet an old friend of mine, Anis (the one on the left side). It has been 5 years since i last met her and i was glad that i finally get to see her again. Anis, Azyan (the one in the middle) and i had been close in 2008. We always have sleepovers during school holidays it sort of a must thing to do back then. 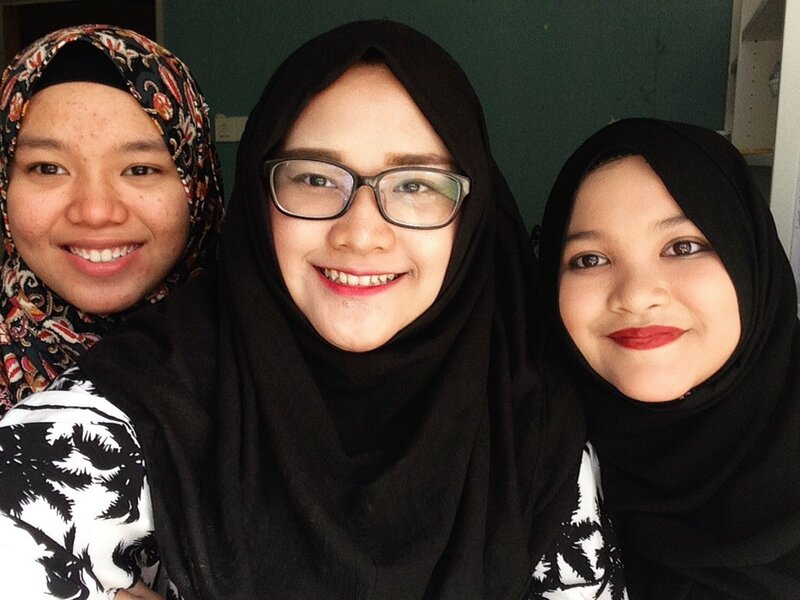 It felt good that the 3 of us reunite again. Meeting each other now just made us realise on how fast time flys and how much each of us has grown. It's funny how 8 years ago we were obsessed with High School Musical and Hannah Montana. We use to sing HSM songs and dance to Hannah Montana games on my nintendo Wii. It's funnny how we cringe at some embarrassing things that we did back then. So many memories we had created and those memories are precious treasures that we will keep forever. A few months ago i had post a so call poem that i wrote called Be Alright. Based on the respond i had in the comments, you guys seem to liked it and enjoyed reading it. I really appreciate all the comments given and it is wonderful feeling knowing that there are people actually like or enjoy something that i created or made. Those comments and also knowing that you guys liked the poem just motivates me to write more poems and post it on this blog. Moreover, i decided to share another poem with you guys. Have you ever had a dream that felt so real? All the actions and gestures in the dream felt so real. It could be a warm hug, a firm handshake, or a hand gently cupping your cheek, or maybe a finger slowly tucking a strand of your hair behind your ear. It could be anything. The person in the dream might be someone that you like or in love with. It could be your lover, crush, someone that you just admire or maybe a celebrity such as actors or actresses. It could be an artist such as Justin Bieber or a member of your favourite band. It could be a Youtuber or Viner that you love and adore. You may had a dream that meet them in person and have this sweet moments that just make you so happy and overwhelming at the same time but in reality that person is miles away and did not know that you exist. 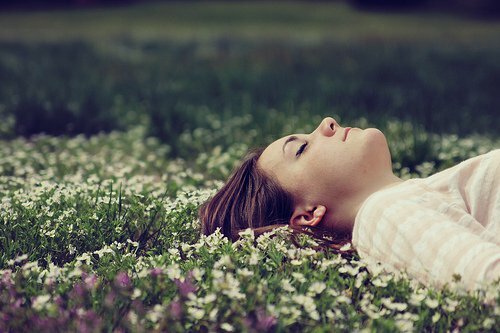 You have this dream that is too good to be true but you really wish it is true and that it is real. Unfortunately, in the end you woke up disappointing when you realised that it was all just a dream but all the gestures that felt so real somehow brings the vibe and feelings that make you longing and attached to the dream. It makes you wondering about it and it clouded your mind that you end up getting caught up in the dream. So, this the poem that i wrote about 2 years ago. I got inspired by this dream i had about a member of my favourite band. It was Harry Styles from One Direction. The dream i had felt so real. I can feel him touching my cheek and i can feel my fingers going through his hair. I woke up questioning myself on how come it felt so real. I was so caught up in the dream that spend most of day wondering about it and decided to put what i feel on paper and that is how this poem is created. I know i am not a poet and i am not Shakespeare but i hope you will like this poem as much as you liked Be Alright if not, more. 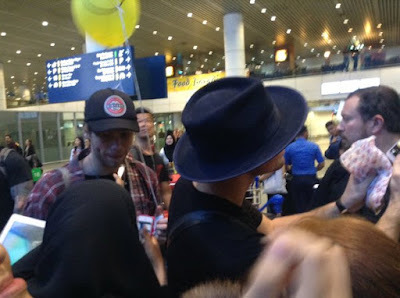 Exactly 14 days ago on 1st of March 5 Seconds of Summer had landed in Kuala Lumpur International Airport for their Sounds Live Feels Live tour concert at KL Convention Center. Exactly 14 days since i met them at the airport. For the first time ever in my life, i went to the airport to welcome a band or artist. It was a last minute decision. My mum was out station so i had to come home from college by train and then drive from the train station to home. Once i parked my car at home, something inside me urged me to have a look at twitter. I scrolled through the timeline and saw tweets and pictures of fans waiting for 5SOS. In that moment, my heart started pounding and the feeling of excitement started to rise inside me. I could not control the urge anymore so i started the engine again and drive straight to KLIA. 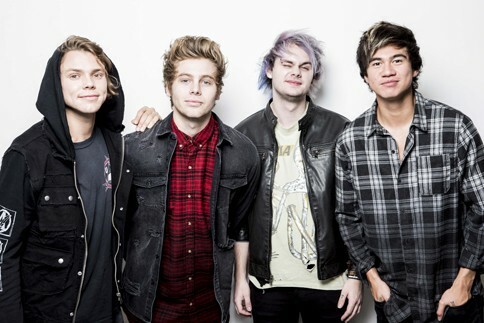 Now, if you guys don't know who 5 Seconds of Summer is...they are a boy band from Sydney, Australia. You may have heard their song Jet Black Heart kept playing on the radio for the past week because they were doing a concert here. Also, some of you might know them when their song called She looks so Perfect and also Amnesia were famous back in 2014. I started knowing them in the year 2013 when they were the opening act for One Direction (YES i'm a directioner.). When i found out they were touring with One Direction, i was curious so i search them up on YouTube and that's when i heard their songs for the first time. I listened to Heartbreak Girl and instantly fell in love with them. The beat got me so hype up and somehow gets into my vein and it made me feel alive. I know that sounds weird but when i listen to it i love their sound and the genre. The song stuck in my mind and I could not stop singing Heartbreak Girl when i walked around in school. I then listen to Try Hard and all of their other songs. There wasn't much back then since they do not have an album yet. I love listening to their song called Too Late. You can hear it in the song how thick their Aussie accent are and listening to it takes me back to Australia. Every time i miss Australia i will listen to their songs from their EP. They made me feel right at home. Since then i had been a huge fan of them and supporting them till now. Anyway, back to the story. I went to the airport and thanks to the GPS i managed to drive there. It took me about 30 minutes to get to the airport. My heart was pounding the whole time. Once i parked my car i quickly walked to the lift. The lift seem to be taking a long time and i just could not wait any longer, so i took the stairs. 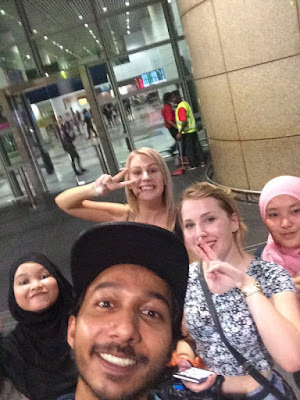 Once i was at the right level i fast walking to the arrival hall and on my way there i bumped into Bee and Farisha who were waiting for 5SOS as well. I started talking to them and we waited together for 5SOS and then later i met Farisha's friend, Ayra. After about an hour of waiting, i met Emily and Maddie who were from Sydney and Melbourne. They flew all the way from Australia just to see 5SOS. They were so friendly and super sweet and we had a good chat. 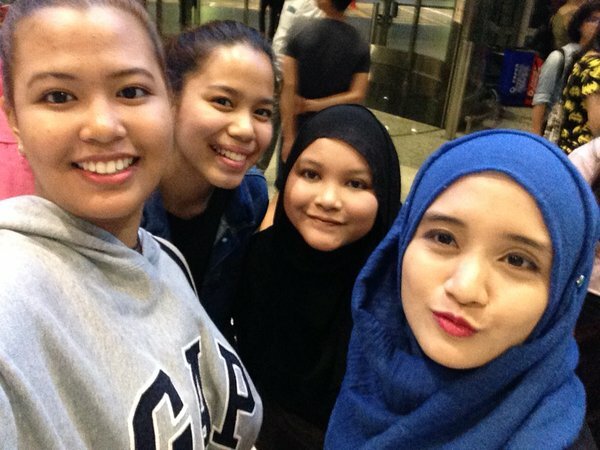 I also met Zira who was from Brunei and she is pretty cool. It was overwhelming meeting all these people and it was not awkward at all. It did not feel like i was surrounded by strangers, it felt like you are part of this community and it also feels like you're with a family. At around 8.30pm Luke, Ashton, Calum and Michael walked through the gate along with the body guards. All the fans were waiting by this barrier. It was insane and the excitement just rush through your body. I was this close to Luke and Ashton but i could not go nearer since there were so many people. In that moment, my mind was saying "They're here....They are real..oh my god". Sometime seeing your favourite band on magazines and on social media sometime makes you forget that they are actually real. It all went to fast and after taking pictures and signing autographs the boys started walking out towards the door and head to their van. Everyone started following and chasing them. I got stopped by a bodyguard but i manage get passed him. I was this close to Luke and Ashton. I walked towards the door where 5SOS were heading and instantly i saw Luke in front of me. I walked beside him and reach out my hand slightly touch his flannel's sleeve. 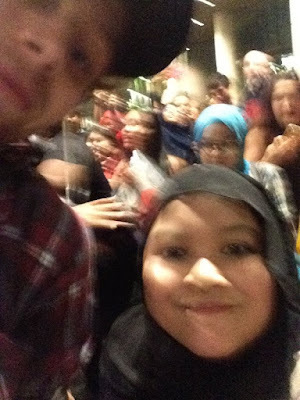 "Luke, can i please have a picture with you..?" i asked him. He stayed quiet and look at me from the corner of his eyes and then towards the bodyguard who was guiding him. He seem to hesitate on whether he should a picture with me or following the bodyguard. "Please..Luke, I couldn't go to the show tomorrow" i said. He has this pity expression on his face and he hesitated at first but then decided to lean towards me and smile for a second. It was too quick i couldn't get his whole face in the picture. He continued to walk and i got stopped by a security guard again so i stop for a second and then continue walking next to Luke until he reach the van. There were body guards guiding the van door and the last glimpse i had was Ashton sitting in the van holding his phone up while smiling as if taking a selfie. Even though i did not manage to get a good picture with Luke, it was surreal to actually be this close to him. I did not manage to get near Calum and Michael but i did get a glimpse of them. It was such an insane experience that even though the van had gone i still had this rush of excitement. We then took a group selfie with RD, the radio announcer from Hitz.fm and he posted the picture on twitter. I did not regret my decision on going to the Airport cause at the end of the day it was such an amazing experience. It was a pleasure meeting other fans and made new friends. We followed each other on twitter and instagram and hopefully we will continue to stay in touch. Once again, it has been a while since my last post. I know that some of you may think that this blog might be dead some time soon cause it seemed like i only post once a month. Believe me, that this blog is NOT going to be dead anytime soon. I know that i have not been a good blogger since i did not post update constantly. Anyway, i just had been so caught up with college. As much as i hate making this as an excuse, i have to say it cause it is the truth. I am sure that all of you know how hectic college life can be. Some weeks are pretty chill and some weeks are pretty busy and it can be stressful. All i want to say is that don't stop visiting this blog. I may have not post much but i have a huge faith on this blog. 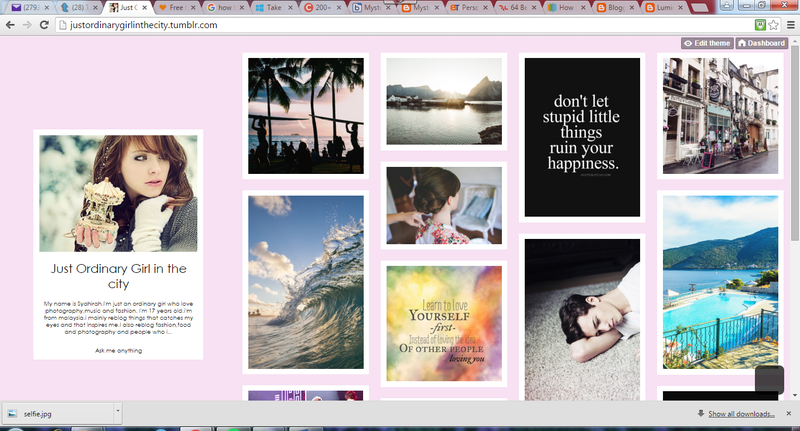 I have a great vision on what this blog is going to be and i am not going to give up on that vision. If you are patient enough to stick with me through this blogging journey i promise you that something fun will come soon. This blog is where i express myself and where i share things. I enjoy writing on this blog and i love seeing the response in the comments. 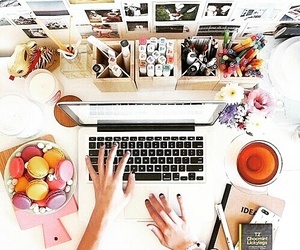 Remember that blogging is not just about writing a post, it is about being connected and be part of a community. I would love to interact with all you not just through blog post and comments but on other social media too. I am always up for making new friends and it will be a pleasure to get to know you guys more. P.S. Don't be shy to leave a comment down below. Let me know what you like to read about on this blog. Book reviews? Poems? facts about me? want me to do Questions and Answers post? or Advice post? What would you enjoy reading? Let me know...down the comments below. Back in 2009, when i was still in Perth, Western Australia. There was this new girl in our class from Germany, name Zoe. She was pretty quiet and does not talk much. One day, i saw her sitting on the bench outside our classroom all alone while others were all talking about their weekends and other stuff while waiting for the bell to ring. Seeing her sitting on that bench quietly, reminded me of myself. She reminded me of the time when i first moved there and what it was like to be the new girl who wasn't fluent in speaking English. Knowing how hard it was for me being a new girl and to make friends when i wasn't fluent in english i decided to go talk to her. I walked towards her and sat next to her on the bench. Putting a friendly smile on my face and said "Hi" then asked her what she did during the weekend. She talked about going with her parents to this place and something about a sewing machine if i'm not mistaken. I did not quite understood on what she had said but i continued talking to her and appreciate her effort on trying her best to talk. She even had this German-English dictionary in her hands to help her with the word that she wanted to say but did not know what the word is in english. Since then, i started hanging out with her more during recess and lunch. Each day we became closer and i begin to consider her as my best friend. We started hanging out outside school ground too. I came over to her house and hangout and she would come to mine as well. I still remember the day her mum invited me to join them hiking at this place call Serpentine. It was my first time going hiking and i am glad to experience it with her and her parents. Zoe is a pretty cool girl. She did ballet and she is very creative and love to draw. I remember during easter hat parade she wore this beautiful hat that she actually made it out of newspaper. She could also ride a UNICYCLE!! How cool is that? At the end of 2009 Zoe moved back to Germany. Before she left she gave me this friends necklace that has a heart locket written BEST on it. Inside it was a picture of her and she has the same locket but with FRIENDS written on it and with a picture of me inside it. Since then we only keep in touch through e-mail. 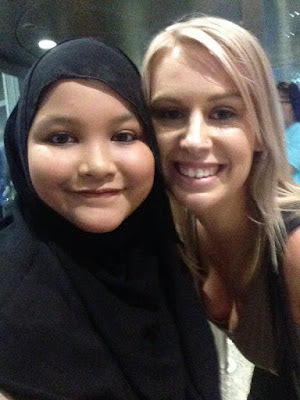 Before she actually moved back to Germany she actually visited Malaysia first. She send me a postcard from Malaysia telling me how she was having a good time in Malaysia. As the days went by, i moved back to Malaysia and a lot things kept me busy so i rarely opened my e-mail. I did reply her e-mail whenever i can and i remember one time she send me a postcard from Germany during Christmas. I talked to her on facebook once in a while and then somehow by 2013 we both became quiet. 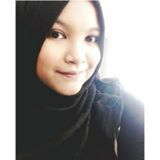 A few weeks ago, I found my scrapbook and come across a few picture of her and makes me realize that it had been a long time since i last talked to her. I decided to get back in touch with her and send a message to her on facebook. She replied asking me how i am doing. 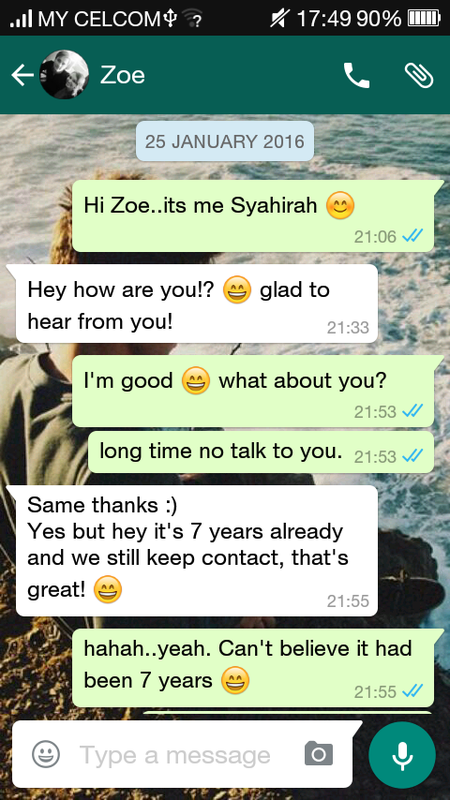 I asked her if she has whatsapp and that maybe we could talk more on there since i am not that active on facebook. On 25th January i check my facebook and i received a message from her. She gave me her phone number and said that it was a great idea. That night, after i finished cleaning up my room and studying I send her a message on whatsapp. Honestly i was kinda nervous. I was scared what if the conversation will turn out awkward and also i was a little afraid that she does not really want to talk to me. 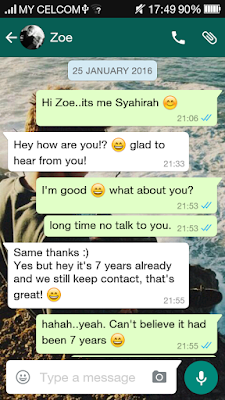 I mean it has been two years since last talk and i did not put much effort on contacting her. Putting all my worries aside i send her a simple greeting message and a while later she replied with a cheerful emoji and said "Glad to hear from you!". That message from her immediately put a smile on my face and all the worries i had seem to disappear. I continued chatting with and there was no awkwardness at all. I told her that i still keep the necklace she gave me and she told me that she still has it too. Then she start sending me pictures of things that she still keep that has sentimental value of our friendship. She send me this friendship bead bracelet the we made together out of newspaper and thread. I was the one who taught her how to make it and i told her that i learn to do this when i was in first grade. She also send me a picture of a piece of paper with "Dragon Script" on it. It is just alphabet and symbols that i gave it to her and told her that we can use it as our secret code when we were passing notes in class. She also send me a picture of my handwriting that i wrote "Kawan karib di Australia". It was a few days before she left Australia. I print pictures of us and her than i glue it to my scrapbook. I told her to write her address next to the picture and also to write something in German. She does not know what to write at first but then she end up writing "Beste Freunde in Australien" which means "Best friends in Australia". Then she told me to write something for her in Malay, so i end up writing the same thing for her. All the pictures she send me just makes me a little emotional and i was shocked that she still kept all these things after all these years. After that, our conversation continued talking about the things we did in Perth. She told me how she really loves the Turkish pizza that my mum bought every time she came over my house and that she never found a good pizza that is good as that pizza ever again. She then told me how loves the rose syrup drink (air sirap..lol) i made for her one time. She told me that she actually search for the rose syrup in Germany and that was glad that she found it. This just made me laugh cause i can not believe that she actually love the rose syrup drink and actually look for it in Germany just because i introduce the drink to her. I made her craving for rose syrup. We end up talking for about 3 hours until it was midnight that i had to go to bed and that she had to work on an essay that she need to get it done. 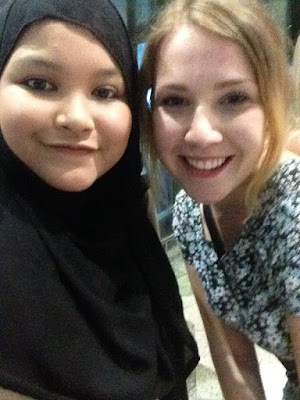 This friendship i have with Zoe had taught me so many things. I learn that if that person means a lot to you, you should go and make effort on contacting that person. If that person values you and your friendship, that person would gladly respond to you even though you both have not been interacting for 2 years. Another thing that i learn is that a good friend or best friend does not have to come from a big crowd or group, they can be from a small crowd or someone who is isolated from others. Next time you see someone sitting alone, or someone who is quiet and does not interact much with others, go say hi and talk to them. 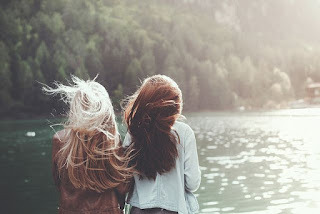 You will never know that that person can be your best friend and probably the coolest and greatest person you have met. Well, it has been a while since i last post an update on this blog. It's been what? almost a month? If you had follow me on twitter and instagram you would have know what i had been up to since i'm constantly tweeting and posting pictures on instagram. If you have not follow me on there you can go click on the follow button on the twitter widget that i had put on the sidebar or just go log in on twitter and search for SyahirahSkylar. Same goes for instagram. It can be a new platform for us to connect and interact more. I would love to talk to you guys and don't be shy to tweet me anytime. I will definitely tweet you back just like how i respond to those who comments on my post. Anyway, back to the topic. So..as you can see the title of this post is "My Munchkin" which i'm referring to my two cousins from my mum side. I actually have about almost 25 cousins on my dad side but i have only 3 cousins from my mum side. I rarely see one of them cause my uncle lives in Sabah which requires me to take an airplane to go there. The reason why i always refer them as Munchkins is because my mum and i are very close to them and they are like my own little brothers. I watch them growing up. In case you're wondering, that's them in the picture above. Harith is on the left and Adam is on the right. This picture was taken 2 years ago in my mum's car on our way to the airport. It was the day they left Malaysia and moved to Adelaide,South Australia. The reason they move was because my aunt decided to further her study and get a PhD. On the previous 15th December 2015 they came back here for a visit for 10 days. My mum and i tried to spend as much time as we can with them within the 10 days. Which is why i had been inactive to write a post. I had spend my days with them coming over to play nintendo wii. I had it since i was about 12 years old but never really expose it to them since they were too young to appreciates the game before. Now that they are 5 and 7 years old they can learn to appreciate the game and have fun with it. I see quite a lot of changes in them but still have the same personalities. One of the obvious changes is in their appearance. They both are taller than the last time i met them. They both seem to be more grown up and their baby face seem to fade. Other than that, the most obvious changes is that they naturally speak english. It is not that they don't understand or couldn't speak malay, but they feel more comfortable with english and that they are so use to use it in daily conversation. I love their Australian accent. Honestly, i really do miss hearing Australian accent. It feel's nice to be able to speak to them in english and pick up some tone and trying to get a little of my Australian accent back that seem to fade through out the years since i got back from Australia in 2010. I love seeing how carefree they are now. Base on my observation, kids in Australia tend to express themselves better than the kids here. They are talkative and not afraid to say what they feel and i think it is a good childhood development. There was a time when we're all taking a group selfie. Adam was standing behind my aunt who was sitting on a couch. Adam put his hand around my aunt's neck and somehow starts leaning on her causing her to bow down during the selfie session. We looked back at the picture taken and turns out that we couldn't really see my aunt's face. 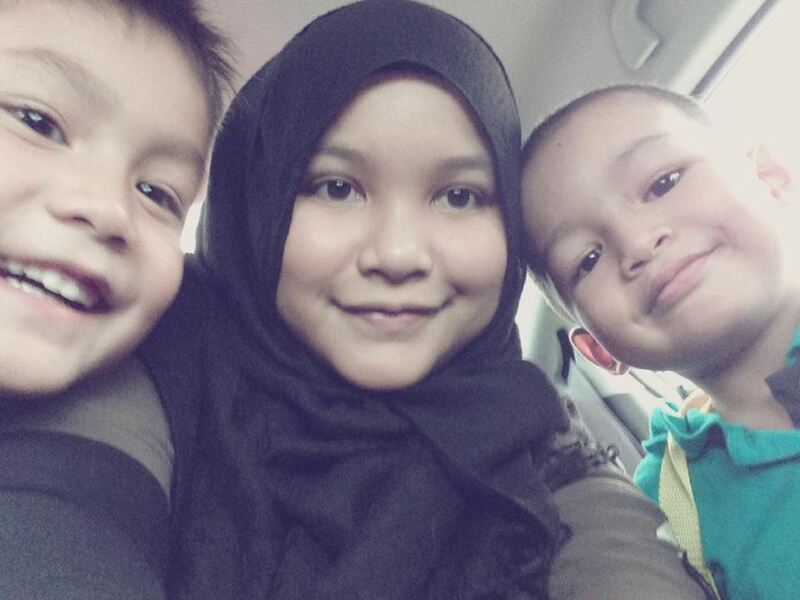 Knowing this, Adam suddenly frown and say to my aunt "We can't see your face in the picture and it's all my fault. I feel bad." Can you believe that a 5 year old boy utter those words? I also remember that a few years ago in Perth, my mum's friend's daughter, Alya just started to go to kindergarten and she is very talkative. My mum's friend told us a story of when Alya did something that somehow cause her dad to get annoyed and mad, so he raised his voice a little at her. How do you think Alya react and respond? Well she replied to her dad that saying "Daddy, please don't talk to me like that. You make me sad..." in such a humble tone. I somehow find this cute and somehow appeal to pity. I think it's good that a child able to express how they feel and it make us aware that the child has feelings too. I love hearing stories about Harith and Adam. I love the fact that they both are having fun in Adelaide. Harith became active in sports such as soccer and footy. Footy is Australian slang for Australian Football. Just so you know Australian football is different than those American Football you see in movies and tv shows. You can try look it up on google or youtube. Adam seem to be good in reading and actually get a certificate on it. One thing in Australia is that they really appreciate children's effort. They give out certificates base on their progress in class and how they develop. You don't need to be number one in class to get a certificate. In fact, they don't have those yearly exam or those term exam. They do have to take Naplan test in year 3,5,7 and 8 if i'm not mistaken but it's not something to be too stressful about. Also, they both now are able to swim. In Australia, they encourage kids to start going to swimming lessons at a young age and it was something i enjoyed back then too. I dont know why, but i somehow feel happy that they both are able to get the experience of growing in that kind of environment. i somehow feel like it is something they both and i had in common since i used to live there for 4 years. This is them now. This picture was taken when we went to Farm in the City. 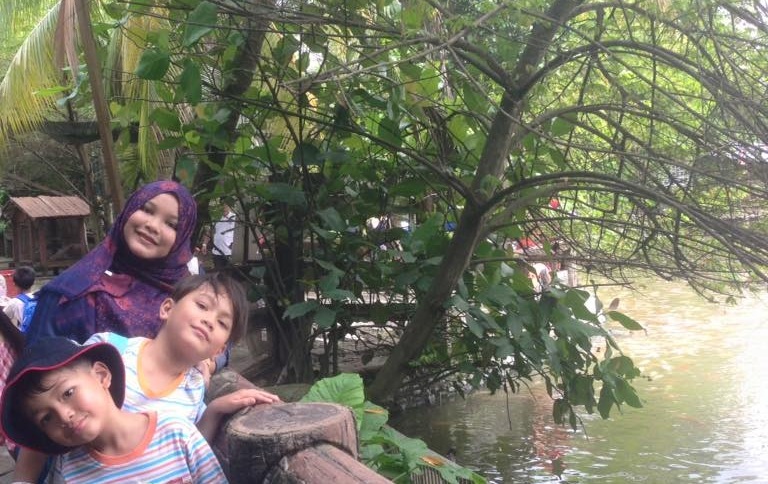 Such a nice place to bring kids and expose them to different kind of animals. Love seeing them getting so hyped and excited to feed those animals and go on a pony ride. Looking back at this picture now kinda make me miss them now. I guess i should end this post now before it become too long for you guys to read. Have a nice day everybody! P.S. I hope you enjoy reading this post about my muchkins haha, How many cousins you guys have? and what are they like? leave your comments below. Feel free to let out thoughts in the comment. ALSO, you can leave some suggestions on what do you think i should write about. Should i do an advice post? with you guys asking about my thoughts and opinions then i will answer it in a blog post and keep your names anonymously?? more book review? or do you guys want to know more about me? wanting to know more about my childhood in Australia? or you guys have some questions about me? Leave a comment bellow letting me know what YOU want to READ. I would love to see your response and i would love to interact with you guys. P.P.S Feel free to follow me on other social media like i said before...YOU can tweet me anything and at anytime :) see you guys on the next post!